Hewlett Packard Enterprise announced the availability of Modern Workspace, a smart conference room service built in collaboration with leading technology and service providers. HPE Enterprise Services will spearhead smart conference room setups to simplify meeting arrangements and enhance employee collaboration by leveraging the next generation of Microsoft Skype Room Systems – a center-of-room control device that creates an intuitive Microsoft Skype for Business meeting room experience – in conjunction with room management and audio/video accessories including those from EventBoard and Logitech. Enterprises are under competitive pressure to support a technology-reliant workforce with the tools and services needed to provide employees with a consumer-like experience and increase organizational productivity. Hewlett Packard Enterprise’s Modern Workspace bridges the physical and virtual worlds. The solution provides a cloud-based mobile reservation app, one-touch Skype Meeting join for instant in-room collaboration, indoor navigation powered by HPE Aruba Meridian, usage analytics, and automation to significantly improve conference room utilization and decrease employee frustration from empty-but-reserved rooms. End-to-end Service – Advisory, planning, design, deployment, support, and management services supporting all Modern Workspace components including Office 365 or hosted Skype for Business. 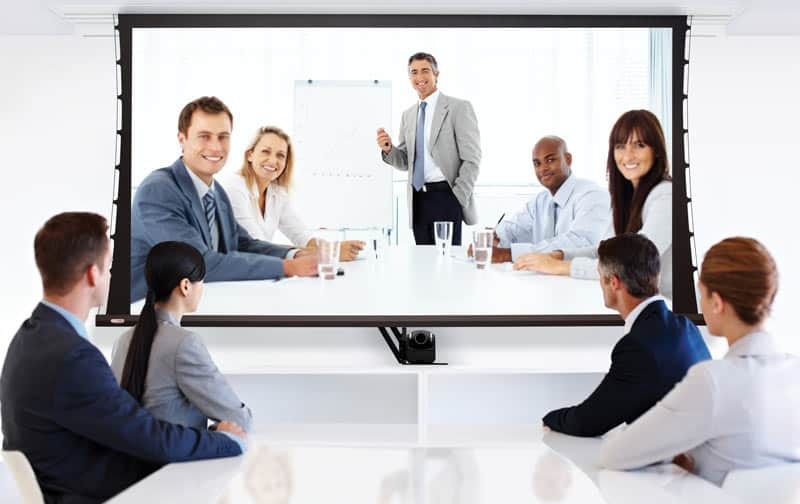 Instant on Collaboration – Skype Room Systems improves meeting effectiveness through a touch-screen interface that joins meetings in seconds and connects to existing room monitors or projectors. Streamlined Meeting Space Management – Easy-to-use employee meeting tools, coupled with motion-based intelligence and analytics, that guide users turn-by-turn to available rooms. Remote Participant Engagement – Clear audio & crisp high definition video drive richer collaboration across local and remote participants. Hewlett Packard Enterprise Modern Workspace solution will be available in November 2016.